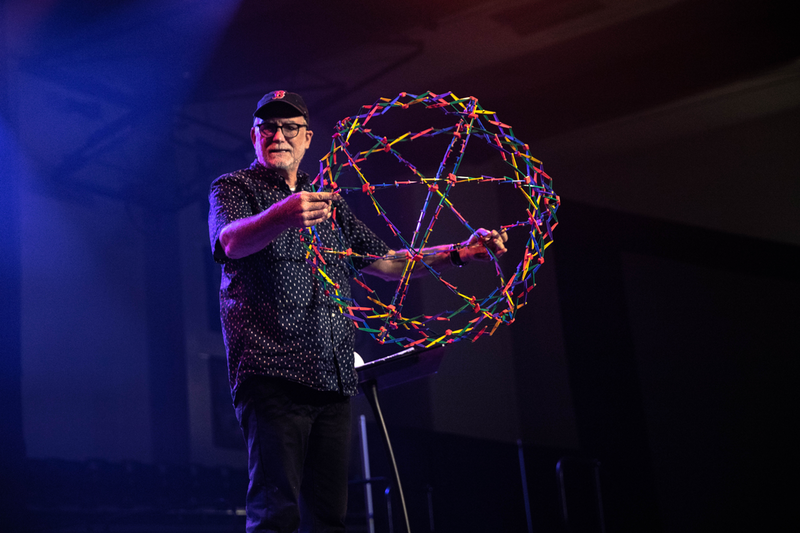 Bob Goff, speaker, lawyer, self-proclaimed chief balloon-inflator and best-selling author of “Love Does” and “Everybody Always,” stuck out his shaking left hand in the Van Dyne Gymnasium Sept. 12 at the first Campus Nite of the semester. After being diagnosed with malaria, Goff said something disconnected in his hand and now it suffers from tremors. He stuck his hands back in his pockets and said he used to refuse to pray holding hands because he never wanted anyone to think he was weak. But this is exactly what Goff encouraged California Baptist University students to try to be: weak. 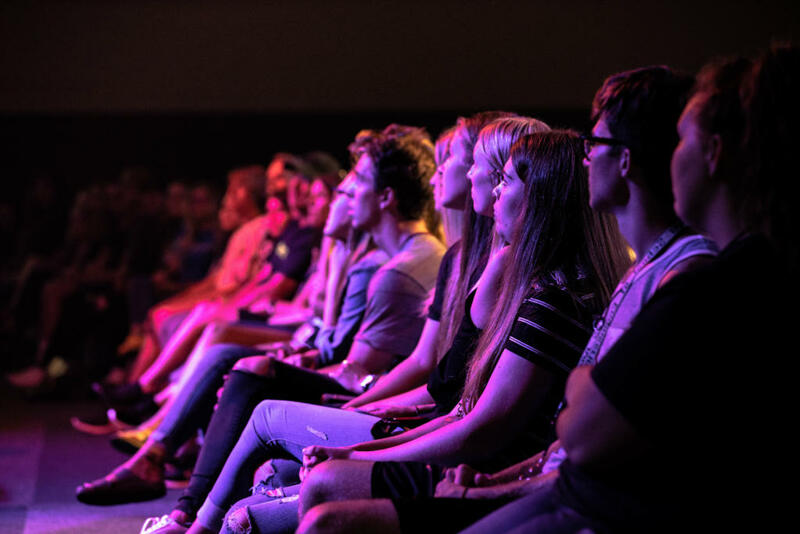 Goff encouraged students to start the new semester with the intention of building real, vulnerable relationships and having honest conversations with each other. 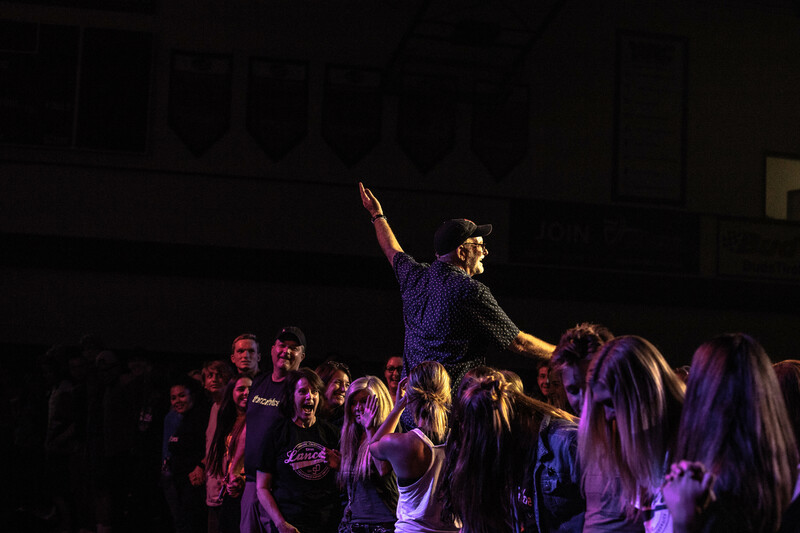 Through various quirky anecdotes and his booming laugh, Goff shared with CBU students different ways in which allowing himself to be vulnerable sometimes worked out but not always. Goff challenged students to try to really get to know other people around them, regardless of if he or she would be successful. 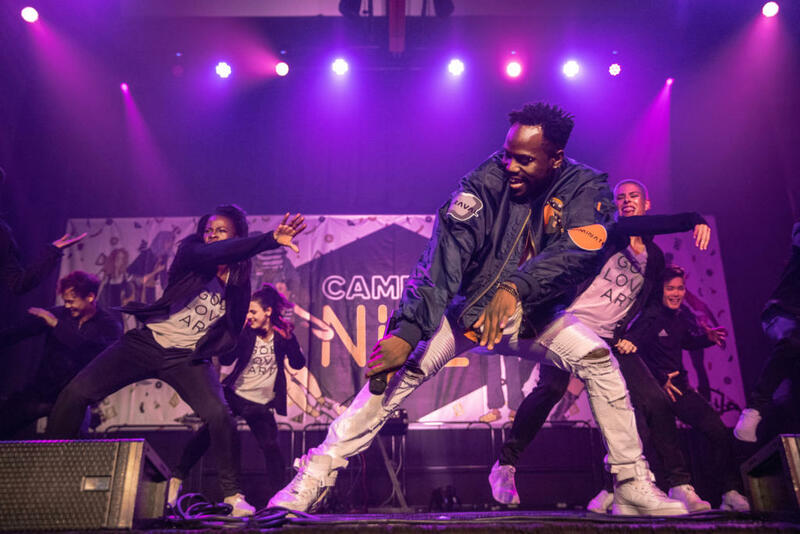 Jacob Ravenscraft, director of university ministries for the Office of Spiritual Life, said the purpose of Campus Nite is to connect students to each other but also to provide them with an example of someone who was following Christ outside of CBU. Maddie Martin, junior nursing major, said she related to the stories Goff shared and it changed her perspective on starting the new semester. Other students, such as Kaycee Binder, freshman exercise science major, said she had never heard of Goff before the event but now she had a clearer idea of how she wanted to continue her first semester of college. Goff ended his message by asking the audience to stand up to pray. 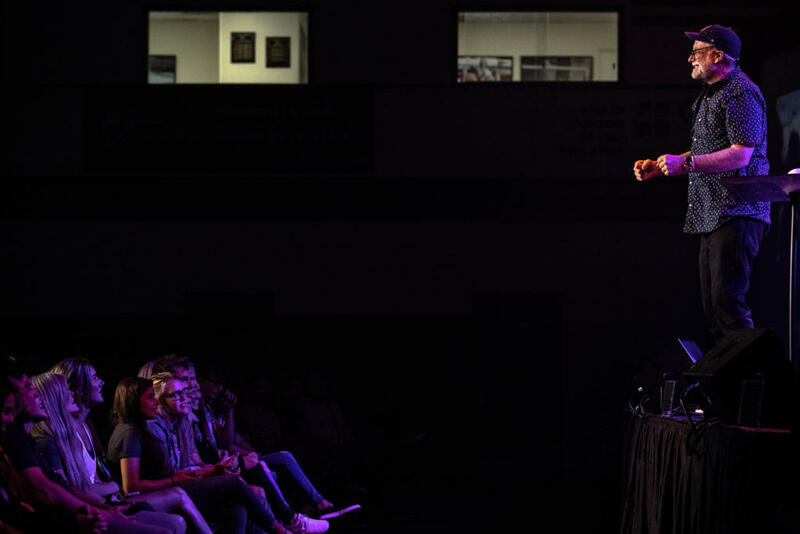 He then jumped down from the stage, stood on an empty chair and stretched his hands out to pray for a semester full of real, honest conversations for the campus. The next Campus Nite date has not been announced yet. 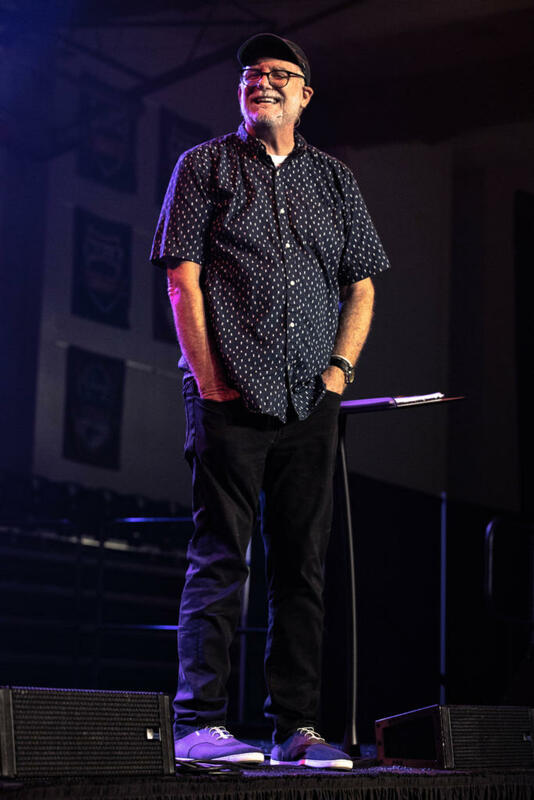 Bob Goff’s unique and truthful speaking has attracted numerous students to the van dyne gym. 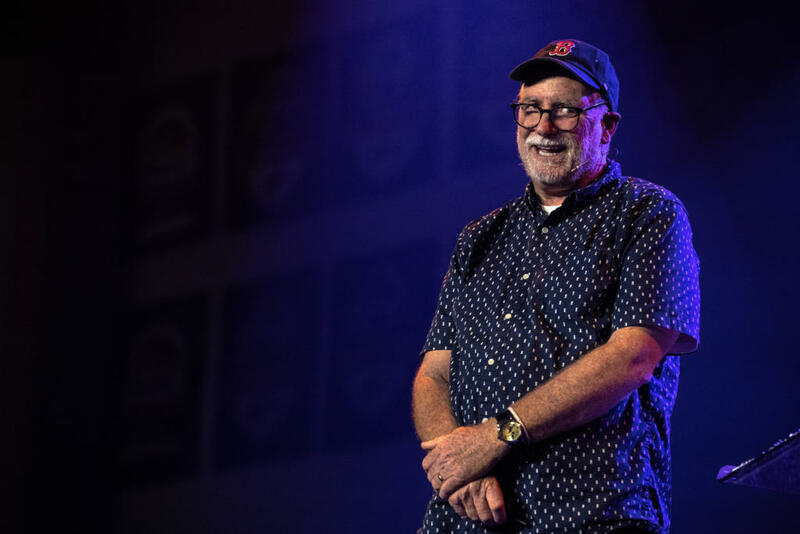 Many students flocked towards Campus Night for a chance to see Bob Goff live for their first time. Bob Goff speaks to the students, hoping to change their lives. Bob Goff is talking about how much struggle he has gone through with his wife. The Cantina performed for the first time at CBU and the students loved them.